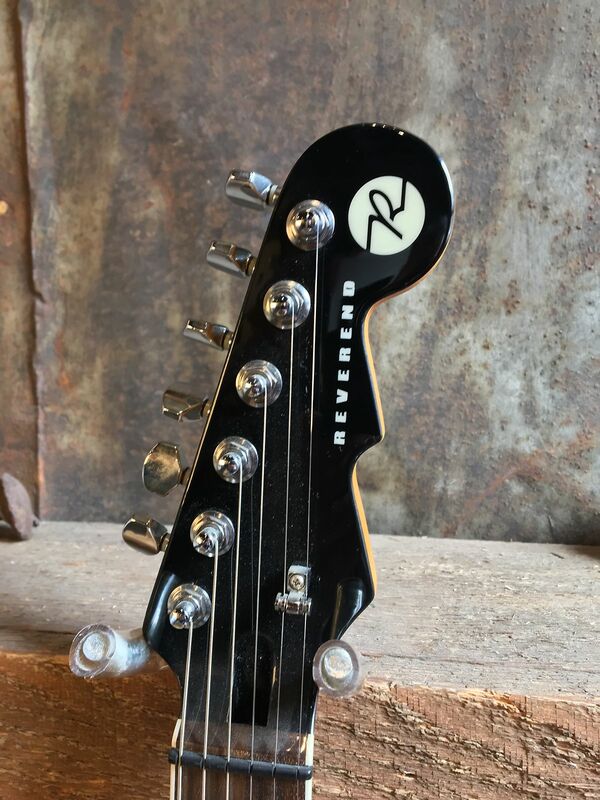 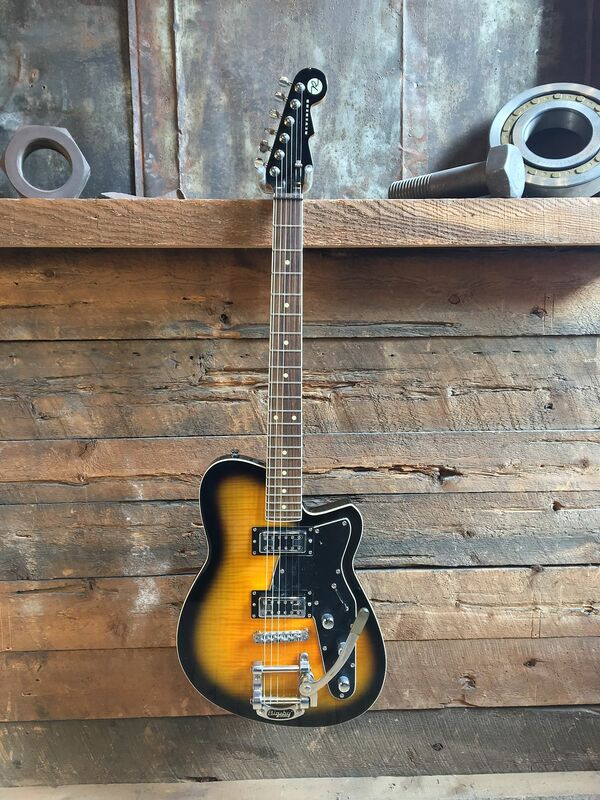 Barely used Reverend Flatrock 15th Anniversary guitar. 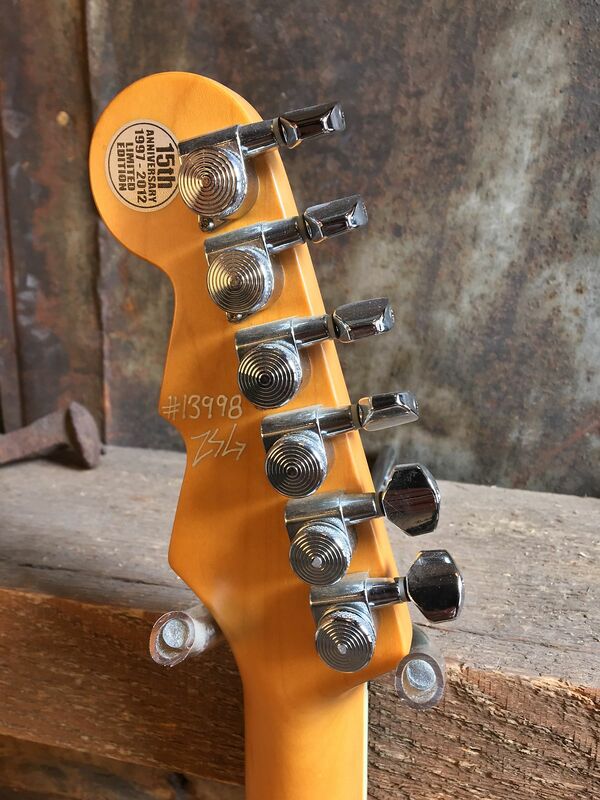 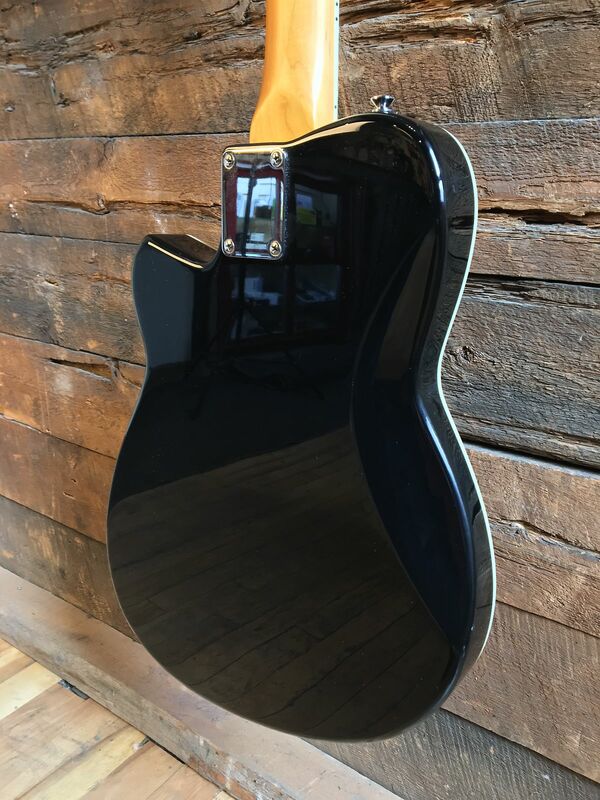 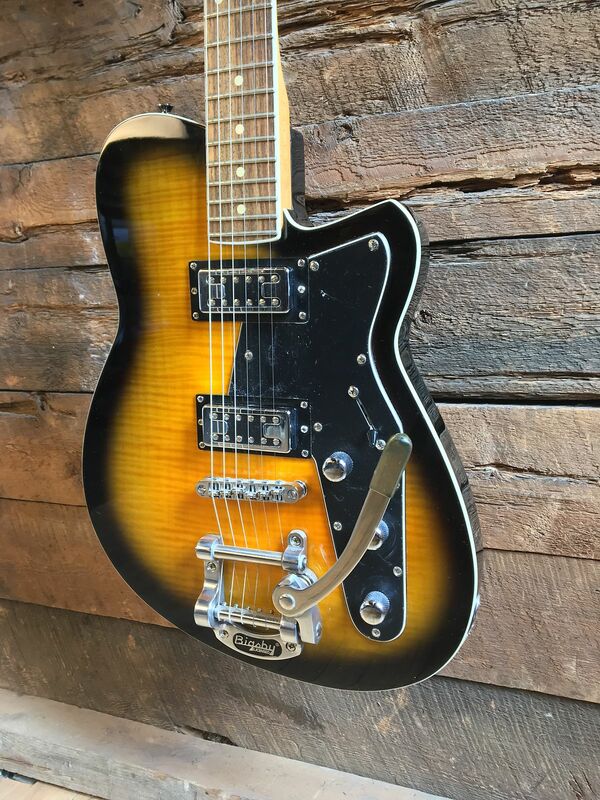 "Reverend Flatroc models have a clean and warm tone that highlights the upper-mid growl of the Rockabilly era in a solid body guitar. 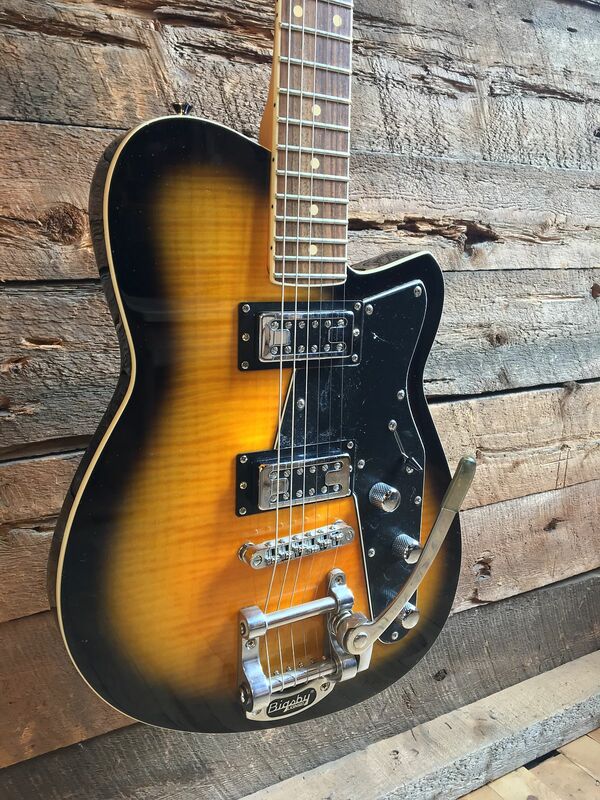 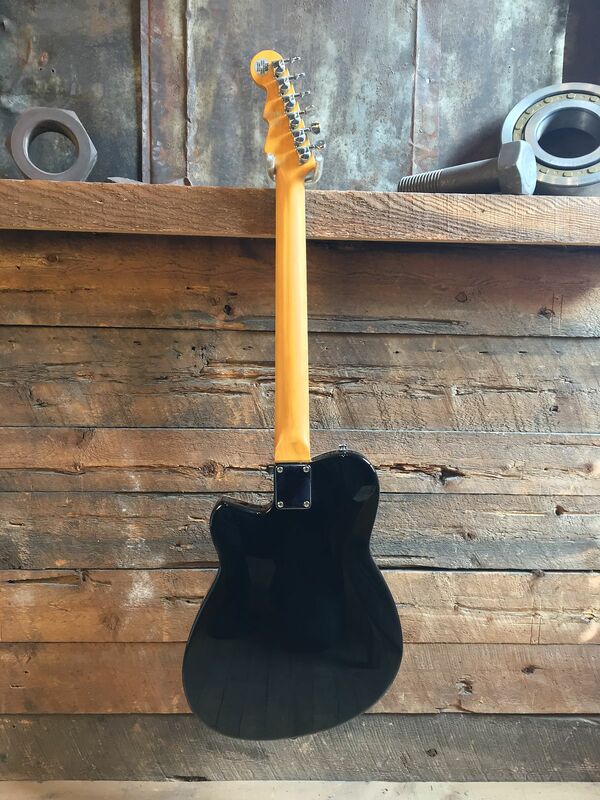 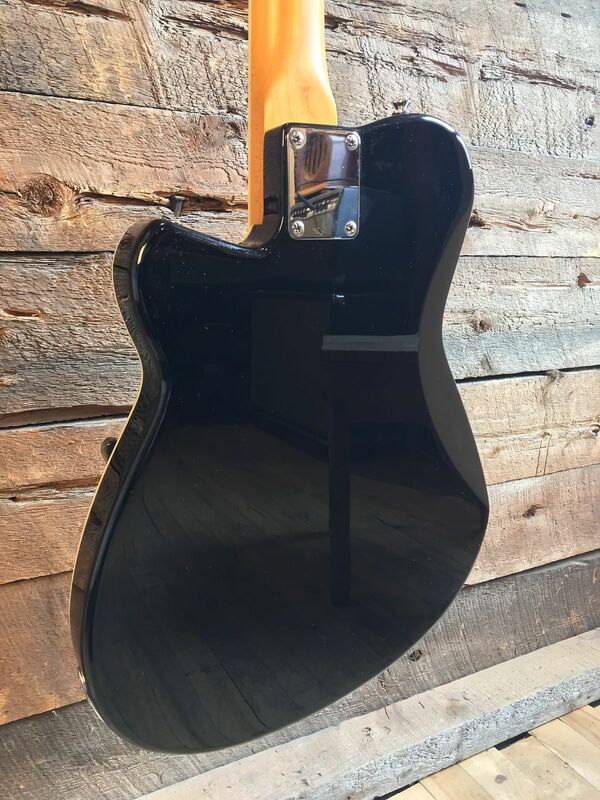 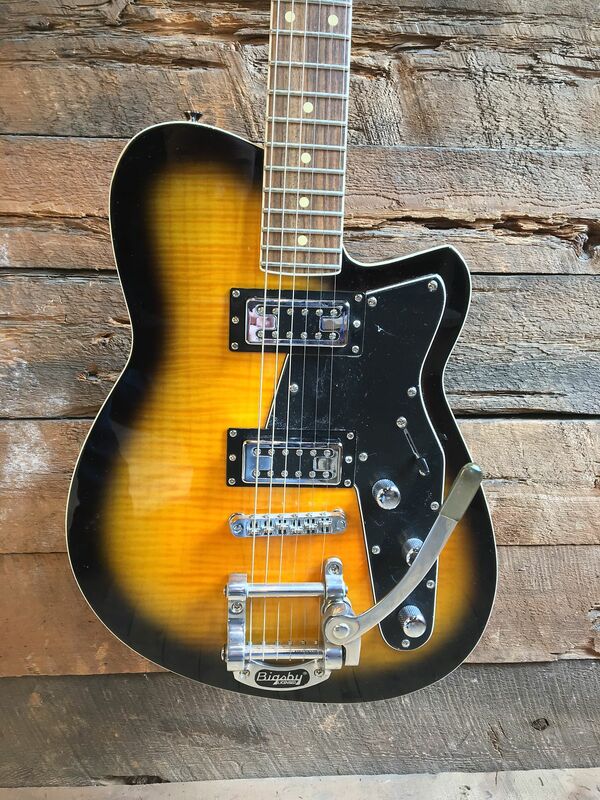 Like all Reverends, The Flatroc has a Korina body which is consistently responsive and lively."